Apple iPhone 7 and iPhone 7 Plus Revealed. Apple starts shipping from September 16th. It is Shiny, it is water resistant, it has dual cameras, 25% brighter screen and has wireless AirPods. That is what new iPhone 7 and iPhone 7 plus features as revealed in the event today in San Francisco. We’re about to launch iOS 10 which will be our biggest iOS release to-date. The new iPhone starts with this new shinny finish called ‘Jet Black’. 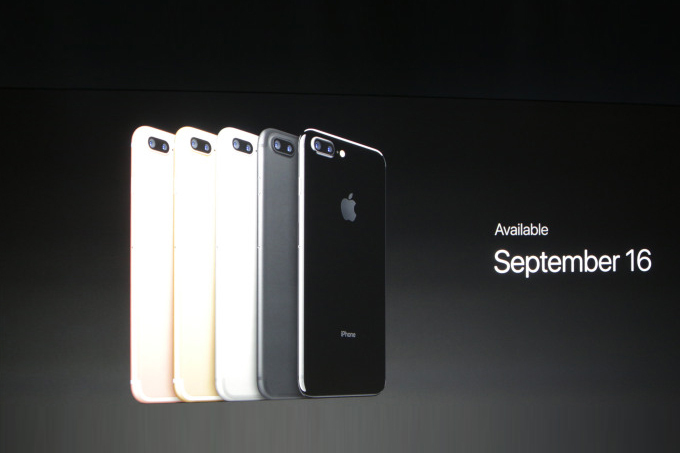 iPhone 7 will also come in gold, silver, and rose gold. The new iPhone 7 will be water and dust resistant and will have a new Home Button, as with their recent trackpads, it will not be clickable instead, it will just feel like it. The new phone has better camera, 12 megapixel sensor that is 60% faster and has a quad-LED flash with 50% light output. 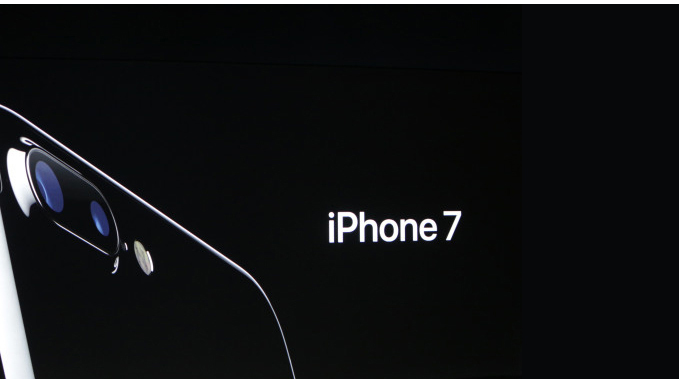 The new iPhone 7 also has a 7 megapixel Facetime HD camera on the front, previous version iPhone 6s had 5MP only. The most interesting is the new iPhone 7+, which has a second rear camera (Chinese mockups already leaked the pictures few weeks back). The two cameras are wide angle lens and “telephoto“. 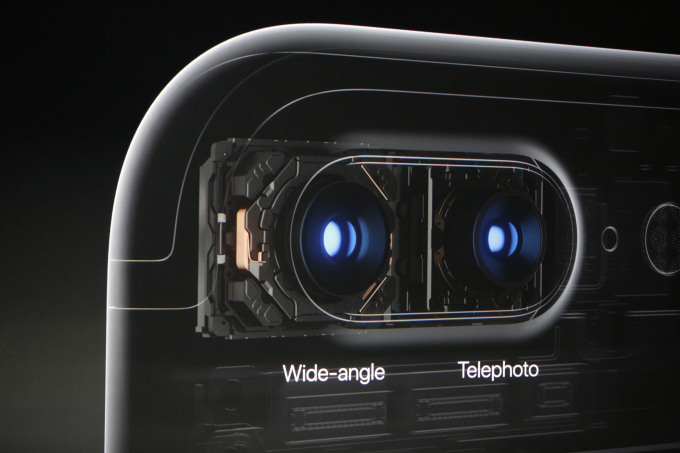 The telephoto lens will work to create a shallow depth of field on the iPhone 7 Plus. DSLR quality is what users should expect with this new phone. The new apple screen is 25% bright. The iPhone also has stereo speakers. there will be one at top, one at the bottom. The A10 Fusion is a new generation chip in iPhone 7. The GPU in the iPhone 7 line is 240x faster and it will only need 2/3 of the power of the previous generation, very fast indeed. iPhone 7 is expected to have two hours more battery life then 6S. iPhone 7+ is expected to have one hour more then 6S+. So the new amazing iPhone has 12 mp camera, 4.6″ retina HD display, optical image stabilization across the line, an innovative home button, deep water resistance, A10 fusion chip, and the longest battery life as compered to its previous versions. iPhone 7 is starting at $649. Apple has disposed off their traditional 16gb model. It will now come with 32GB, 128GB, and 256GB. iPhone 7+ is starting at $769. Cook revealed that pre-orders for the iPhone 7 and 7+ will start from September 9th, and will start shipping from September 16th. 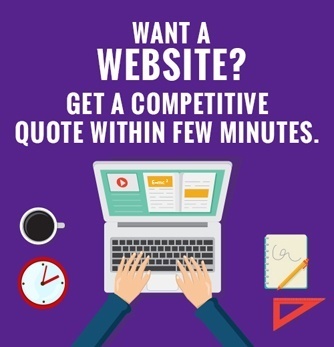 At first,it will ship to 28 countries, adding 30 countries a week later. Most innovative feature is Apple’s new lightning based AirPods. They will be included in the box and they will also include a 3.5mm adapter. The new amazing AirPods are perhaps the most important feature of new iPhone. 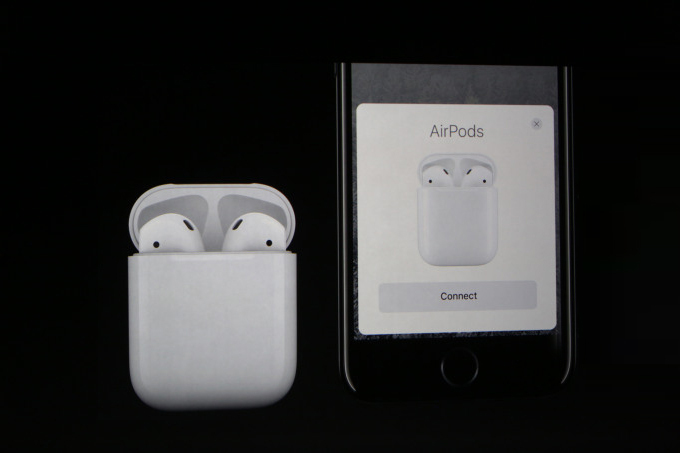 Infrared sensors detect and play when the AirPods are plugged in your ear. By double tapping the AirPod, Siri activates. The new AirPods start shipping for $159 from October. The surprising news is, Apple new watch has Pokemon installed in it. There is no reason to wonder why, it is downloaded 500,000,000 times since launched. The new watch is more water resistant, as deep as upto 50 meters. It has dual core processor and a new GPU, 2x times faster. 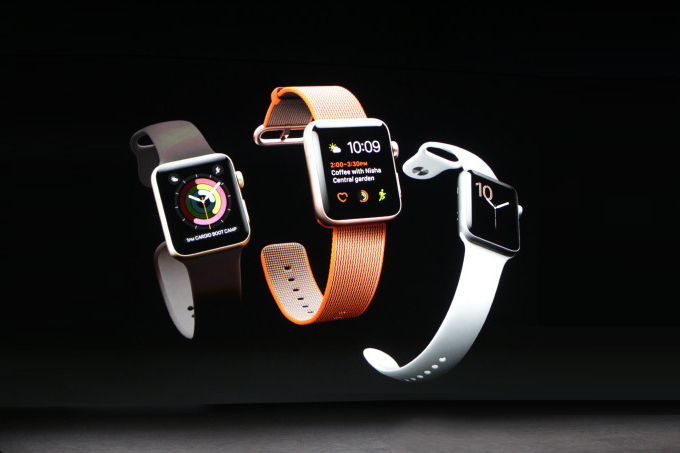 The watch will have builtin GPS. Apple has also partnered with Nike, with Nike+, by tapping the start button the app initiates. Apple Watch series 2 price starts at $369. 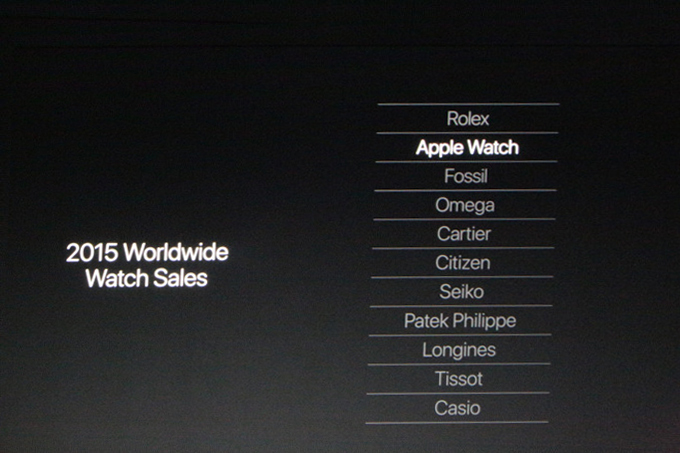 Pre-Orders for watch start on Sept 9th and start shipping on September 16th. Previous article Meet Shahmeer Amir, the third most proficient cyber bug hunter in the world. Next article We are graduating students every year. Do we have job for them?